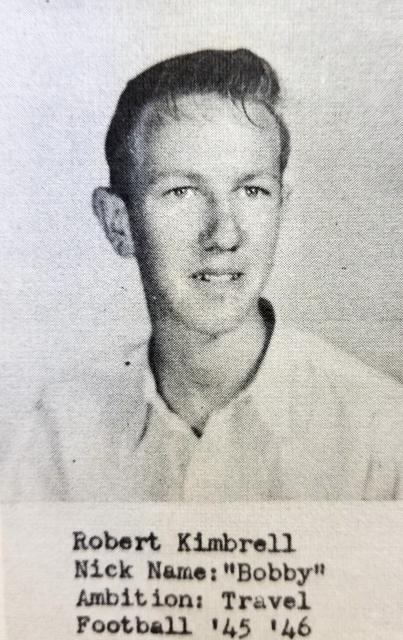 Cleta and John Orval Nicholson II took their baby boy home from Spohn Hospital on Shoreline to 338 Davis Drive in 1950 to live in the two-story house behind Nicholson’s Grocery with big sister Sally. This little guy would take the name of his father and his grandfather, but he would come to be known simply as “Johno” to all. He would later inherit the family business, which he saw as a blessing and a curse. 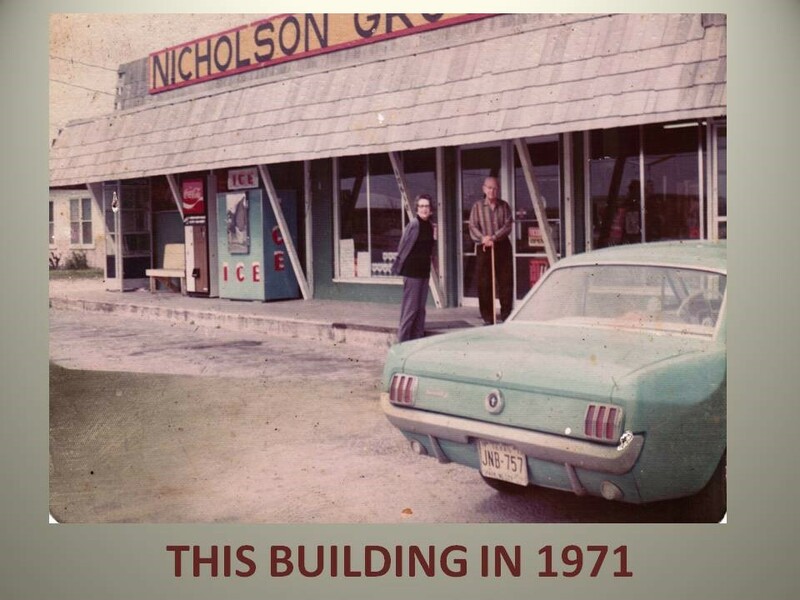 Times were often hard, but with his work experience, a solid education from Flour Bluff School and Del Mar College, the mentorship of his grandfather and other small business owners, this enterprising young man and Lisa, his wife and business partner, took what had become a failing grocery store and turned it into the thriving, local landmark, Barton Street Pub. 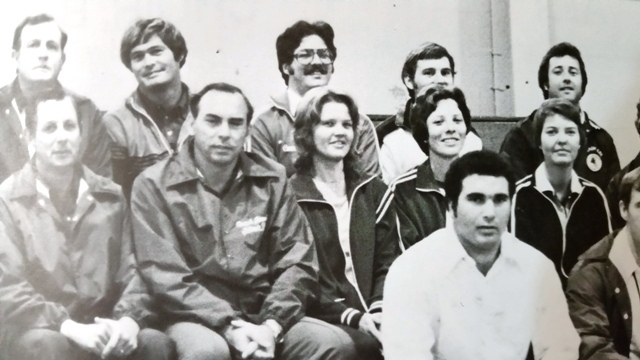 In 1967-68, his senior year, Johno was able to use the skills he acquired from working the family business and his education when Mr. Wranosky gave him a job as part of the Distributive Education (DE) Program. He went to school from 8:00 a.m. to noon and worked at Central Office from noon to 4:00 p.m. In the summertime, he worked six to eight hours each day. He started at 90 cents an hour but quickly earned a 35-cent raise. “That was a lot of money to start and quite an honor to get a raise like that,” said Johno. 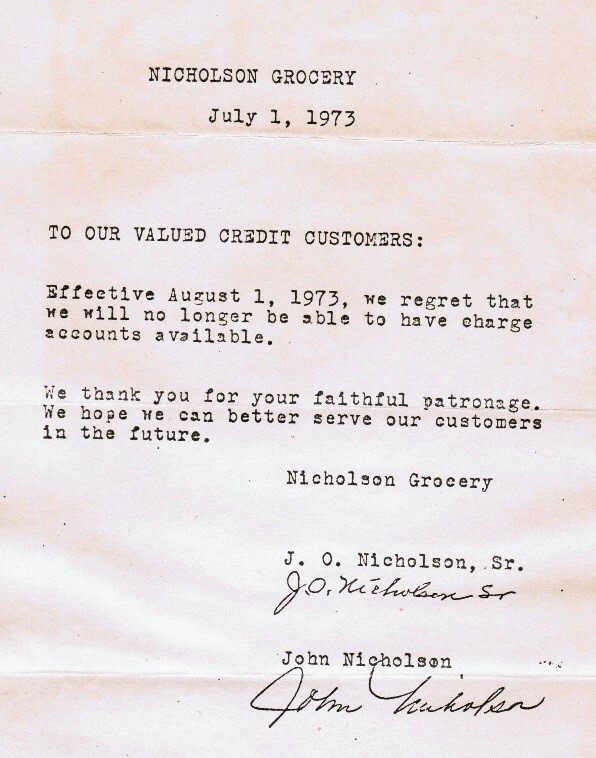 Nicholson’s Grocery would remain in business for a few more years. During that time, Johno’s sister Sally married her high school sweetheart, moved away, and started her own life. Johno attended Del Mar College where he studied computer programming. “They taught us how they worked. I took typing and keypunch, and I took accounting, which was very difficult. They were preparing us to go out into the corporate world. The principles and the concepts were valuable for the day-to-day running of any business,” said Johno. Johno went to work for other small business owners in Flour Bluff while Lisa and Daddy John continued to run the store. 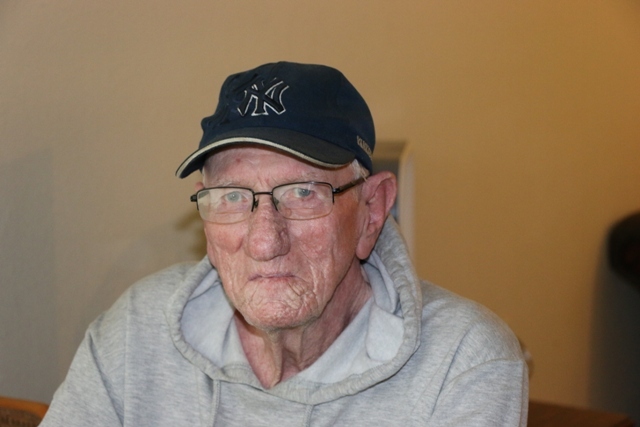 “I went to work for Doug Turner as a welder’s helper. I did the grinding, the painting, and the cutting to set him up to weld. I took the money I earned with Doug and put it into the store to keep the doors open,” he said. 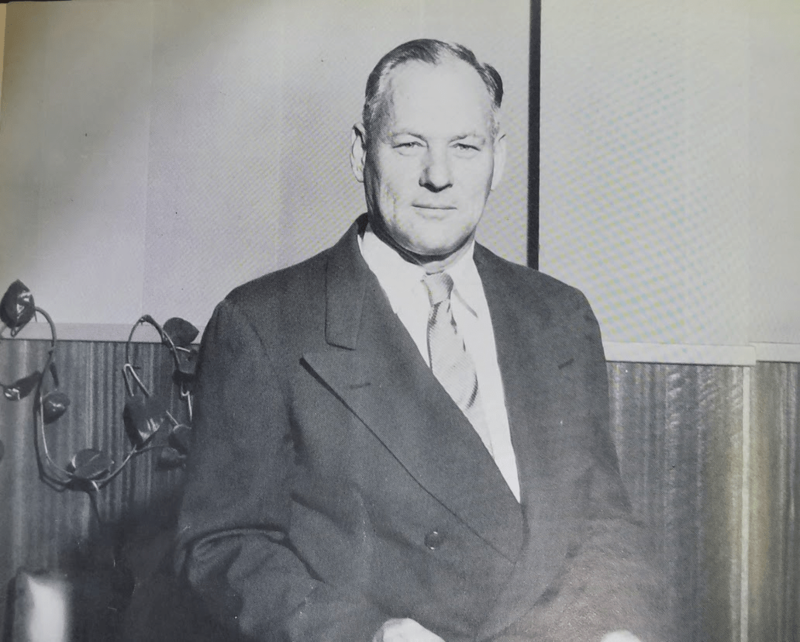 Next edition: Read the final installment of the history of the Nicholson family to learn about this family of entrepreneurs who forged a path to success with some very unusual ventures. 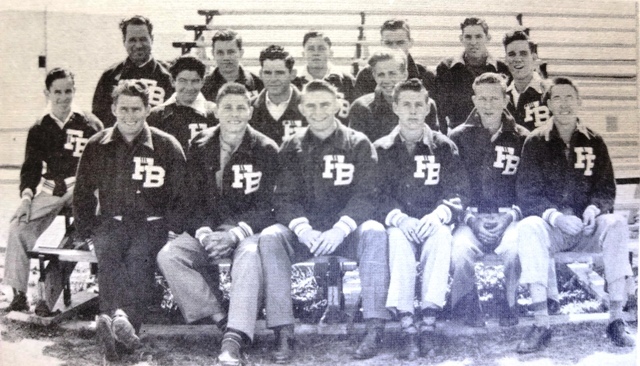 Bobbie (not Robert) Kimbrell came to Flour Bluff in 1944. Born July 11, 1930, in Clarksville, Texas, and later moving to Aransas Pass with his mother, he then joined his father in Flour Bluff to become a commercial fisherman, eking out a living in the Laguna Madre and surrounding waters until 1999 when he checked his trotlines for the last time. Bobbie’s father, Samuel Acie (Ace) Kimbrell as everyone called him, was a cement man. “Ninth grade was the highest you could go in Comanche County then,” Bobbie said referring to his father’s shortened education. “In the early thirties, he met a surveyor who was passing through. He taught my dad how to survey. 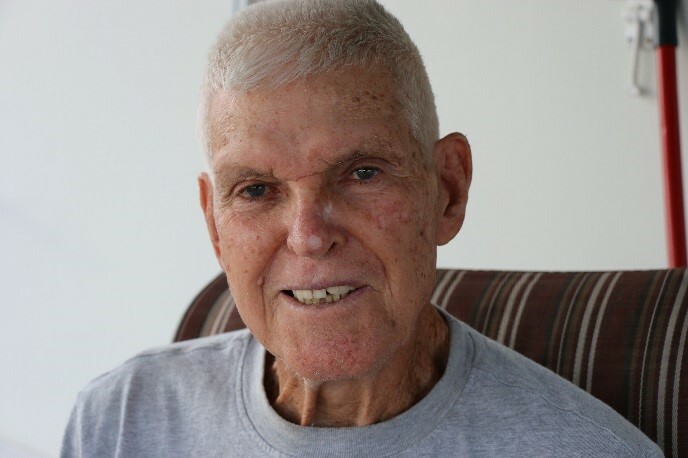 He started working for contractors who built culverts and small cement bridges. 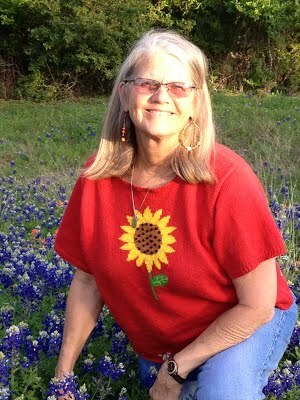 That was when they first started building paved roads through Texas.” Bobbie explained that when a new job would come up, his dad would go out with the contractors and survey and find out what the job would cost. “If the contractor won the bid, my dad would work as a sub-contractor and use the tools and machinery of the contractor. Then, he’d hire one or two of his brothers, and just two or three people would do the whole job,” said Bobbie. Kimbrell said his dad hired two men of Mexican descent to do the cement finishing. “They could do whatever finish was needed on the cement and were known all over Texas as the best there was,” he added. “Fishermen are the best people there are,” Ace once told Cliff Avery, Caller-Times reporter. “And we get the cream of the crop,” he said of those who frequented the Red Dot Bait Stand. 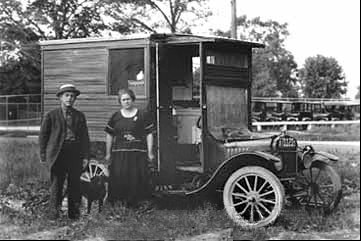 The Model T “van” pictured above in this Creative Commons photo was often called a “house car” or “camper,” a forerunner to motor homes and RVs, a common site in Flour Bluff today. This Flour Bluff Hornet Yearbook has the picture right but dropped the ball on Bobbie’s name. Be sure to pick up the next edition of The Texas Shoreline News to learn more about Bobbie Kimbrell’s life as a commercial fisherman and life in Flour Bluff. 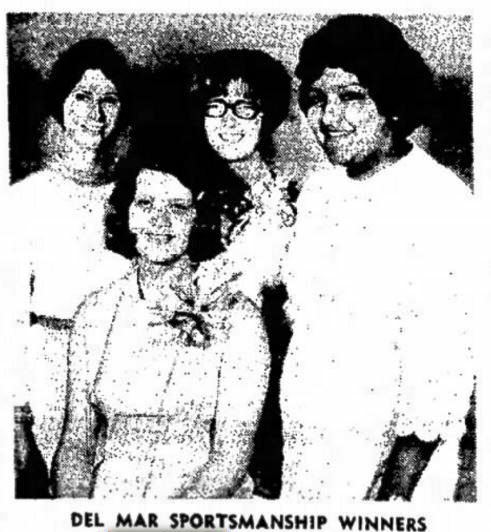 Read through back editions for other Flour Bluff history articles. Jeanie Lou lived down the street from us. She and my older sister Margie were about the same age. We played together when her mother would let her. I don’t know where her daddy was. I never did see him at her house, and I never did ask her. I was afraid to ask because I thought he might be dead, and I didn’t want to make her feel bad if he was dead. I asked my mother a couple of times if she knew where he was, but she just told me to mind my own business. I tried to mind my own business, but that was a hard thing to do. There were lots things going on in the neighborhood, and I wanted to keep up with the latest news. “Ruthie, you are a very nosy little girl,” Mother said. I could see she was getting put out with me, so I thought maybe I better let it go at that. I knew she would listen if I found out something good. Daddy would not listen though. “Ruthie, if you don’t have something good to say about people, then don’t say anything,” he said to me when I was spreading a little gossip. Then, he would get up and go outside. He just wouldn’t listen if it was gossip. I don’t think I ever heard my daddy say bad things about anyone. He just wouldn’t do it. That was a rule he lived by. He was an honorable man. His word was his bond. I decided that morning when I got up that after school I would try to go down to Jeanie Lou’s house to play. When we were eating our oatmeal, I mentioned it to Mother. “Why do you want to go down there?” Mother asked. “Just to play,” I said. I got ready to go to school and started walking. Margie was with me. It was a little bit chilly, but not really cold. We saw Jeanie Lou on the way to school, and I told her that I could play after school. “Can I go, too?” Margie asked. It was a long day in school, as usual. I wondered if I would ever like school. I really didn’t think I would. If I hadn’t been locked up there on that day, I could have found a lot better things to do. I knew that for sure. They said I had to go to school, and I had to do what they said. But, someday I would be old enough to tell myself what to do. That sure did seem like a long way off. The day was finally over. The last bell rang, and I tried to see how fast I could get out of that place. I didn’t run though because I could get in trouble for running in school. You are not allowed to do anything fun in school. You can only do boring things in school. I ran straight home and changed clothes. I was not allowed to play in my school clothes. As soon as I was dressed, I left to go to Jeanie Lou’s house. When I got there, I knocked on the door and Jeanie Lou let me in. “What do you want to do?” I asked her. She went to her room and got the color books. I couldn’t believe she had her own room. Boy, that would be nice! I shared a room with Margie and Junior. She came back with the books, and we sat down on the floor to color. We did that for about twenty minutes until we got bored. “What do you want to do now?” she asked. “Do you like school?” I asked. “It’s all right, I guess. I’m not crazy about it,” she said. “I know. I want to be a beauty operator when I am old enough,” Jeanie Lou said. “What exactly do they do?” I asked. Jeanie Lou had real pretty hair. It was real long and wavy. It looked like shiny silk. I had wished a lot of times that my hair looked like hers. She told me one time that she brushed it one hundred times every night. That seemed like a lot of wasted time to me. “You want to play beauty shop?” she asked. “Sure. That sounds like fun,” I said. “Okay. Let’s go!” I really wanted to see her room. We went into her room, and it was real pretty. She had a dresser all her own with a mirror on it. I have to say I was a little bit jealous. I wished I had a room like hers. “I will be first. You can do my hair, and then I will do yours,” she said. “That sounds good to me. How do you want your hair done, ma’am?” I asked. “I’m not sure yet. I think I would like a haircut and a permanent,” she said. “You really want a haircut?” I asked. “I really do. I would like to try short hair. You cut mine, and then I will cut yours,” she said matter-of-factly. “You really mean it? You want me to cut your hair?” I asked again, not believing she meant it. “How do you want it cut?” I asked. She took one long braid in her hand, held her fingers like scissors, and showed me where to cut it. She wanted it cut about to her shoulders. So, I just did what she told me to do. I snipped it right off. She looked at it and began to cry. “I don’t like it like this!” she said. “I don’t think we can put it back on,” I told her. It was her mother. She looked at me like she was really mad at me. “No, I didn’t, Mother. She just cut it,” Jeanie Lou lied. “She told me to. She showed me how to cut it,” I said. I was scared by then, so I ran out the door and went home. I knew I was going to be in trouble over that little incident. I just knew it. Why did Jeanie Lou lie to her mother? She knew she told me to cut her hair. She didn’t want to get in trouble; that’s why. I ran in the front door. I found Mother and Daddy in the kitchen cooking supper. There was nothing else to do, so I just blurted the whole story out. I watched my mother’s mouth fall open. My daddy just smiled like it was not a big deal. “Ruthie, I told you to be nice and not get in trouble,” Mother said. Daddy just broke out laughing. Mother shot him a look that he better shut up. So he did, but he put his head down and was smiling. Just then, someone knocked on the front door. I knew who it was. Mother went to the door and opened it. Jeanie Lou was with her. “I told the truth, Mother. I would have taken the spanking if I did something wrong. But she told me to,” I said. Mother slammed the door in her face and went back to the kitchen. Daddy was still almost laughing, but he knew better. I followed her back to the kitchen. I thought that the time had come for me to get it. I sat down at the table and waited for Mother to say something. I just wanted to know if I was going to get a spanking or not. If I was, then I wanted to get it over with. Daddy looked at me as if he wanted to help me, but I guess he knew she was right. I missed the movie on Saturday, but Margie told me what happened. I don’t think I ever played with Jeanie Lou again. I saw her at school, and her hair was cut short – both sides. I think they moved not long after that happened. Daddy said I ran them out of town. Then he laughed. I was sorry that I cut her hair, but if you don’t really want me to do something, then you better tell me. She told me to cut, so I cut. 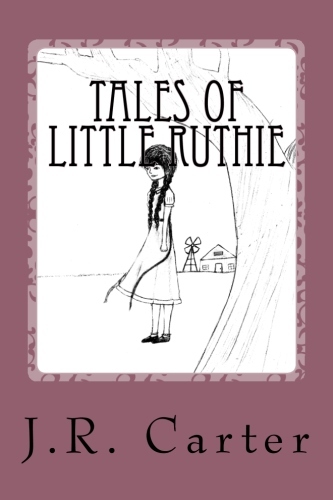 And that was another fine mess in the life of little Ruthie. In a little shack at the end of a cotton field outside of Weslaco, Texas, on March 19, 1932, Lacy Smith was born to Rady Elizabeth and Ruppert Allen Smith with the help of a midwife. Soon after, Lacy’s family moved to Loyola Beach near Riviera, Texas. There he started his career as a commercial fisherman. Evenwhen the Texas State Legislature banned commercial fishermen from catching redfish in 1981, he found a way to continue in the business until 2009 when he suffered a stroke. Lacy was never afraid of the water because he was raised on it. “I used to carry the bait bucket while my mother and father seined for bait. I’d go out in the boat with my mother. She’d row out into the bay, and I’d go with her and catch fish to sell. I was two years old then,” he recalls. “Nothing about it scared me. I grew up on the water,” he said, saying that he “learned to swim in Baffin Bay when the water was so salty you couldn’t stay under.” Lacy remembered what should have been a scary moment in his life but wasn’t. “One time I fell off my shrimp boat in the Gulf. I was by myself, and I got back on board. Most of the time I worked by myself. You couldn’t get anybody to help you. I had a policy; if I couldn’t do it myself, I didn’t even start it,” said Lacy, a philosophy that guided him through life and made a successful commercial fisherman out of him. 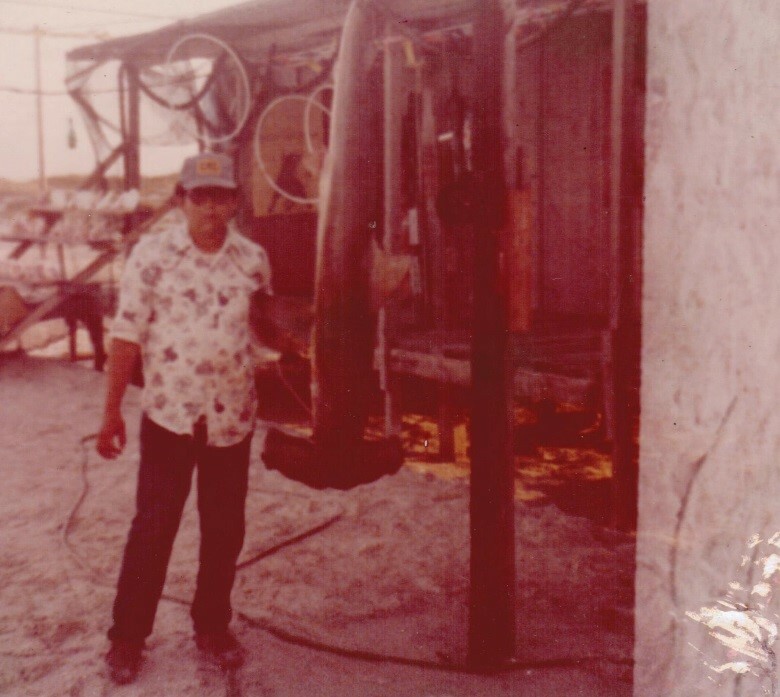 In a 1988 interview conducted by Nathan Wilkey, Lacy described himself as a “gypsy, moving up and down the Texas coast to follow his livelihood, commercial fishing, as a child and as a father of four.” As a child Lacy attempted school in three places: Port Isabel, Loyola Beach, and Flour Bluff. 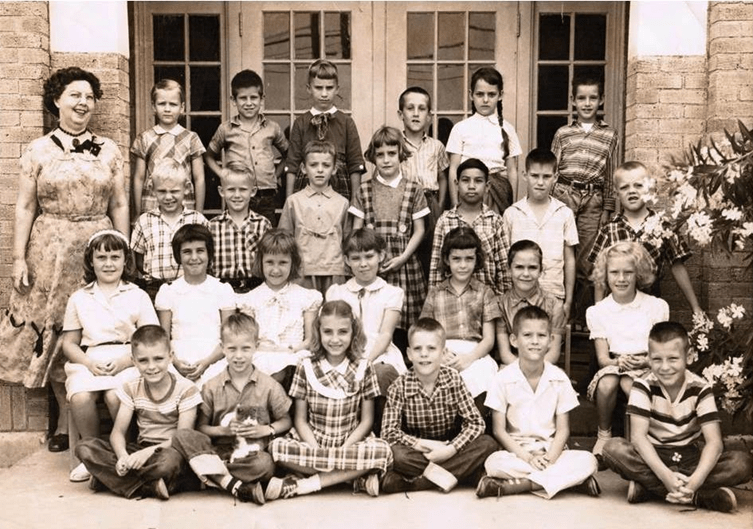 When he arrived in Flour Bluff ready to start the fourth grade, his teacher saw that he was far ahead of the other students and moved him to fifth grade. 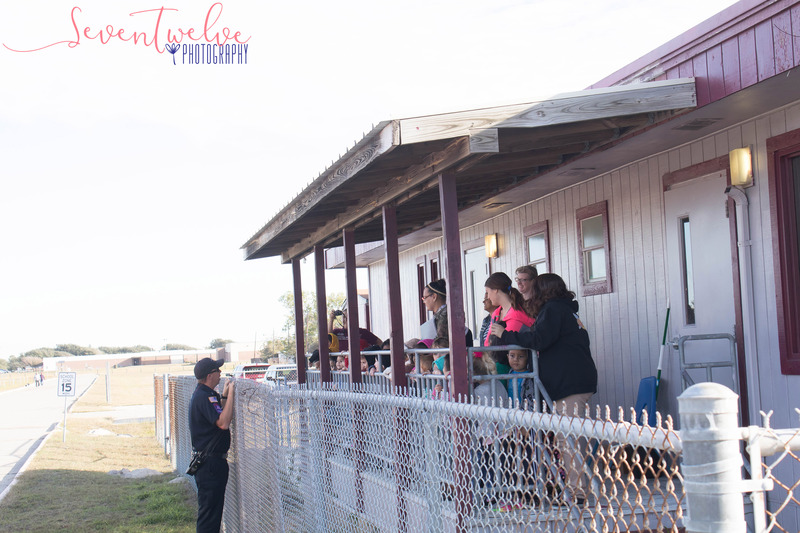 Lacy remained in Flour Bluff Schools until the first day of his sophomore year when Coach Meixner asked him if he really wanted to be there. When Lacy said, “Not really,” the coach suggested he go on home and focus on his fishing, which he did. “I sustained my family as a commercial fisherman,” said Lacy. 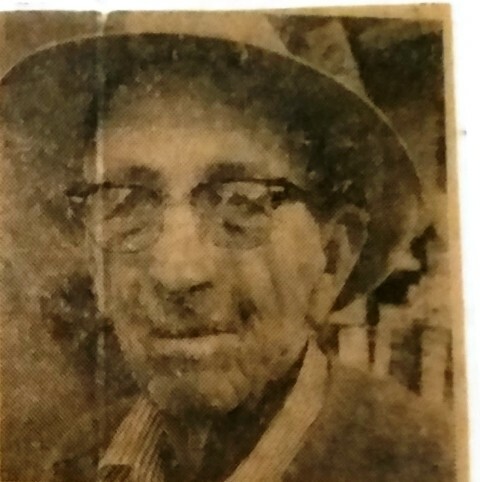 According to his wife, Lilia, he made a “very good living” as a commercial fisherman. 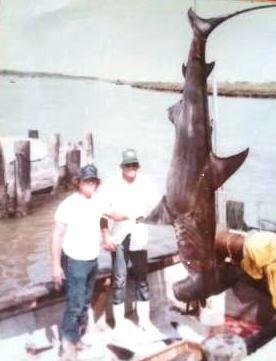 Lacy Smith and Ricky Allen caught this shark at the mouth of the Bernard River near Freeport, Texas, in the early 1980s. The fins were sold to Japanese markets in California and the body was sold to other markets. The fishermen were trying to overcome the ban on redfish by creating new markets for their catch, according to Smith. 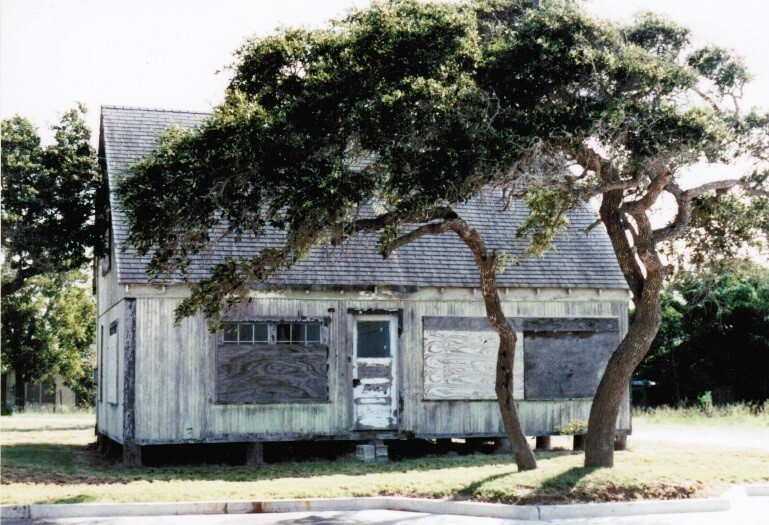 When Lacy moved to Flour Bluff with his mother and stepfather, Lester “Wild Bill” Wyman, he lived along Laguna Shores in a one-room house that sat between Knickerbocker and what was then Davis Drive (South Padre Island Drive). “They built a bunkhouse for the boys to sleep out back. Later they built lean-tos until it was four or five rooms. They built them one at a time. It would start as a porch; then, we’d turn it into a room,” said Lacy. “People in Flour Bluff collected rain water in cisterns, usually off their roofs when it would rain. It rained a lot back then. Some people got their water from wells they dug by hand. My mother never had running water while she was alive. She sometimes hauled water in barrels from the school house,” Lacy said. Lacy’s mother continued to fish and shrimp, but Lacy does not remember eating much of her catch. “She used to shrimp for Red Dot Bait Stand and sell shrimp for a penny a piece. She’d go over there at night and dip up shrimp with a dip net and sell them to Ace Kimbrell. We didn’t eat a lot of fish and shrimp. Our diet was mostly potatoes and beans. We didn’t have meat unless we killed something. We had no means of refrigeration. We killed ducks, geese, rabbits, whatever we could find,” he said. NOTE: This article was first published in The Texas Shoreline News, a local print paper that serves the Flour Bluff, Padre Island, and South Side areas of Corpus Christi. 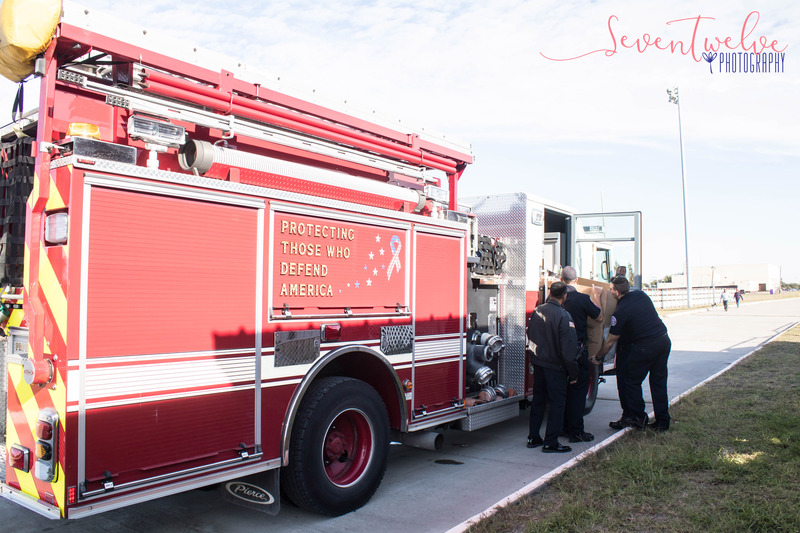 At 9:30 a.m., on December 12, 2017, the Naval Air Station Corpus Christi firetruck arrived at the Flour Bluff Head Start preschool on Glenoak Drive. Several firefighters quickly exited the big red engine as the children standing on the patio of the Head Start building screamed and waved. These brave men (Captain Weston Beseda, Firefighter Phil Lala, Firefighter Shawn Kotal, Firefighter Eric Santillon, and Fire Inspector Otis Terrell), however, were not responding to a fire. They were delivering Christmas presents to the waiting children. 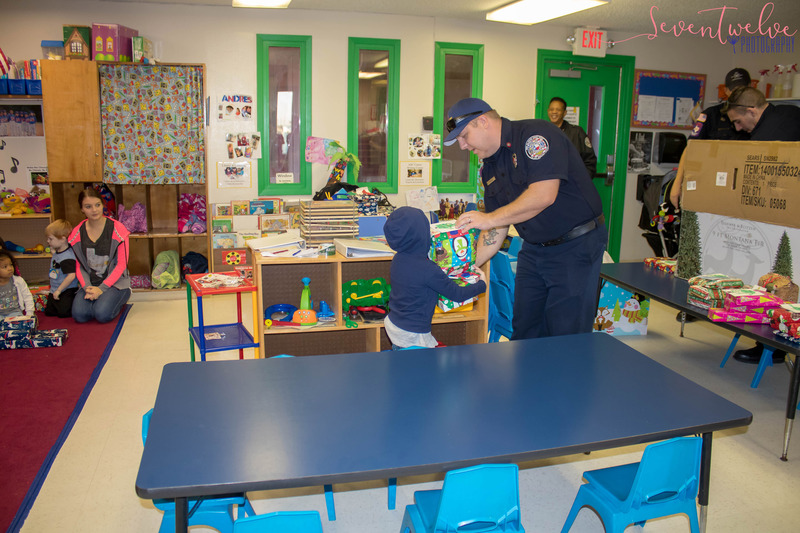 For several years now, the NASCC Fire Department has put smiles on the faces of the children enrolled in the Head Start preschool program in Flour Bluff. This program services families whose income falls below the federal poverty line by allowing the children to be in a preschool setting where their teachers prepare them for grade school. Many of these children’s parents often struggle with having enough money to give their children gifts for Christmas. 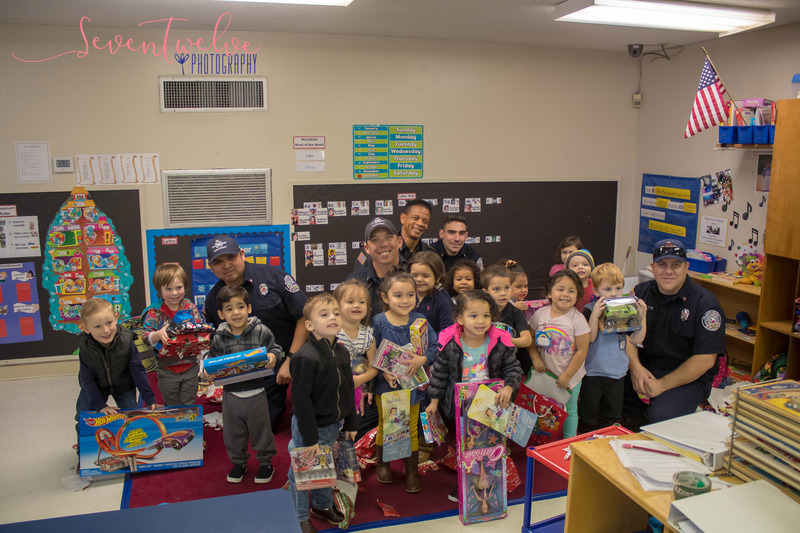 That’s why the NASCC Fire Department decided to adopt – not just 1 or 2 of the children at Head Start -but all the children enrolled in the program. This year, there were four classes with almost 70 students in all. Early each December, a representative from NASCC FD picks up a name card for each child. This card includes the age of each child and a list of items each needs or wants. Often clothing sizes are included because the children may need new clothing. 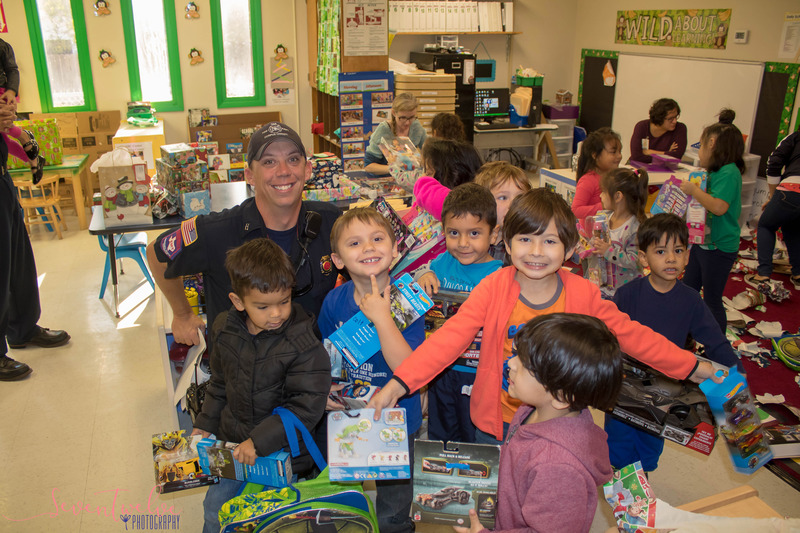 Once these cards are in the hands of the Fire Department, they are disbursed among the firefighters who wish to participate and buy a present or two for a child in need. Presents are then wrapped, sorted, and prepared for delivery. 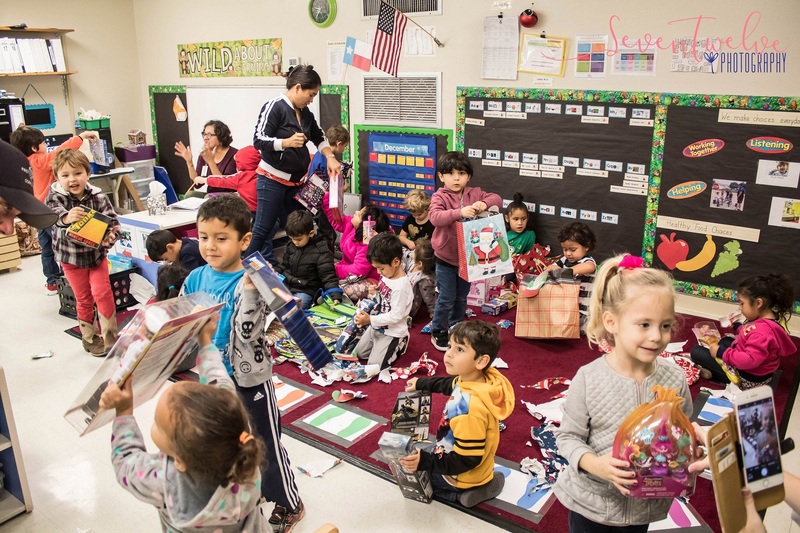 In years past, Santa has helped in the delivery of the presents to the classrooms. This year he relied completely on the five firefighters to get the job done. They unloaded the firetruck and headed inside with presents galore. There they greeted the children and began passing out the presents. They called each child’s name, and one-by-one, each went forward to receive beautifully wrapped packages. Once all the children were sitting down with their wrapped presents, Captain Beseda counted down for the children to tear open their gifts, “5…4…3…2…1…Go!” At the sound of “Go!” the wrapping paper began flying as the children ripped open their presents, bringing ear-to-ear smiles to every face. 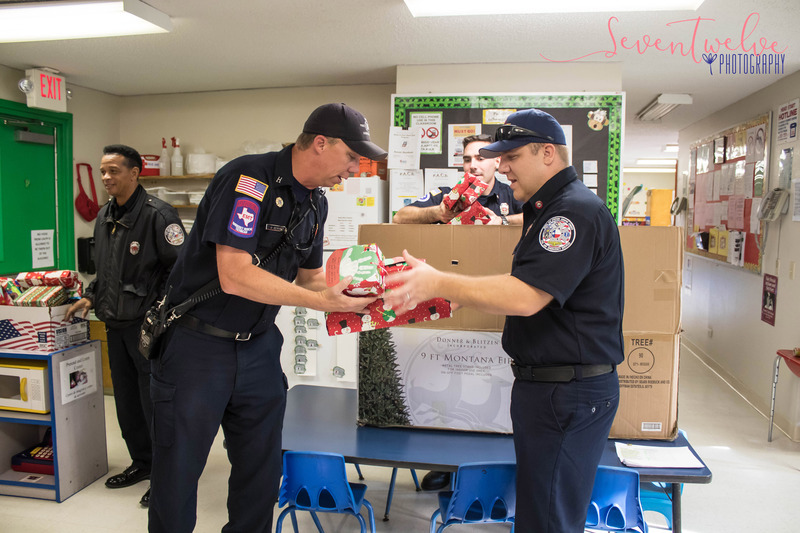 Some say that giving is the reason for the season, and this community project taken on by the NASCC Fire Department proves just that. Not only do these guys take pride in serving our community, they also take pleasure in giving towards community projects such as this. 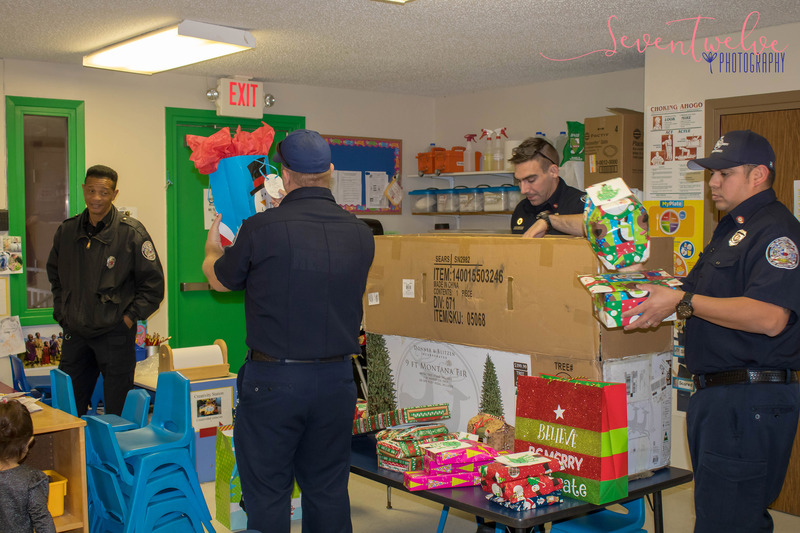 The fire fighters of NASCC Fire Department look forward to continuing placing smiles on the faces of those less fortunate for years to come. Katy is a paralegal, wife, and mother of two boys, both of whom ride BMX. Even Katy has been known to race a moto or two! She is also a freelance photographer in her spare time – SevenTwelve Photography. Shots ring out, 14 are left dead, 29 are wounded and the shooter is dead at the scene from an apparent suicide. The motive is not known, but an investigation is underway. Stop. Does this sound familiar? It sounds familiar because it is. Five of the deadliest shootings in the United States occurred in the last ten years. In 2007, 32 were killed at Virginia Tech. In 2012, we had the Sandy Hook massacre and 27 were killed. In 2016, there was the Orlando night club shooting where 49 died. In 2017, we have had the Vegas attack and the Sutherland Springs attack with a combined total of 84 dead. Since 2007, there have been 54 mass shootings. In the ten year period, from 1997 to 2007, there were 23 mass shootings, and from 1987 to 1997, there were 17 mass shootings. Based on the statistics available from Mother Jones, it appears that mass shootings are on the rise, but why? The easy answer and indeed what appears to be the only answer is guns. Nearly every article written about mass shootings concludes that guns and assault weapons in particular are the problem. Without guns, there would be no mass shooting; the reasoning goes, but that is like saying, “Without cars, there would be no auto accidents. Both statements are of course true, but neither statement addresses the cause. Cars do not cause accidents. Careless drivers, distracted drivers, sleepy drivers, drunk drivers, and even texting drivers cause accidents, and guns do not cause mass shootings; psychopaths do. Most articles on mass shootings eventually get around to the psychopath behind the gun, but it is done with great reluctance, and only after guns have been sufficiently blamed. The reluctance to label a mass murderer a psychopath is somewhat understandable. Typically a mass murderer has not been clinically diagnosed as a psychopath, and in fact, the term psychopath has fallen out of favor for a more politically correct term. The Diagnostic and Statistical Manual of Mental Disorders, (DSM IV) used by psychologists and psychiatrists contains a category called “antisocial personality disorder” (APD) which covers both the psychopath and the sociopath. While it is true, mass murderers exhibit antisocial behavior. It seems to me that referring to their mental condition as an antisocial personality disorder is inadequate to describe the morally depraved mind of a mass murderer. For that reason, I will use the more descriptive term psychopath. With that said, I will attempt to shed light on the question, why is the frequency of mass murder on the rise? To be accurate both the frequency and the magnitude of mass murder is increasing. The impact of advertising, the moral decay of society and drugs are perhaps three of the contributing factors. Radio, television, and other media coverage of mass murder functions as advertising and encourages other psychopaths to act out at some future time. Often sensational headlines glorify the killing which inspires more killings. Headlines can also offer a challenge. Consider this headline from CBS News, “Two of the deadliest mass shootings in U.S. history come just 35 days apart.” I can imagine some psychopath reading that headline and saying to himself, wait until they get a load of what I can do. Perhaps a better headline would have been written like this, “Two low-life psychopaths dead at the scene just 35 days apart.” Sometimes headlines convey sympathy for the psychopath like this one, “He was the loneliest kid I’d ever met.” That was the headline for a 14-year-old that killed his algebra teacher and two classmates. The headline might have read, “Deranged 14-year-old murders his teacher and two classmates.” Certainly news coverage of mass murder is necessary, but the media should be careful not to glorify or sympathize with the psychopath and cover mass murder with an awareness that coverage can advertise. Acting out in our contemporary society appears to be the norm. It matters not whether you are taking a knee during the National Anthem, creating riots in the streets, or merely changing your gender. Acting out is trendy and cool and is usually encouraged in the media. However, being trendy and cool is merely symptomatic of changing values or moral decay in society. As values change, actions that were once forbidden by society are now permitted. The more values change, the more permissive society becomes until you reach the point that psychopaths feel it is okay to act out their macabre fantasies. It is my belief that as values continue to be eroded, mass murders will continue to rise as they have in recent years. This notion is borne out by the immanent Swiss psychiatrist, Carl Jung. In Carl Jung’s The Undiscovered Self, Jung mentions an element of latent sociopathy and psychopathy within any given culture. Perhaps 10 percent of a society is composed of latent sociopaths and psychopaths, and 1 percent or less represents actual sociopaths/psychopaths. Most of the latent people will never become dangerous if they are living within a culture that is healthy and morally balanced. In fact, those with inherent psychopathic traits can become very high functioning members of society who excel at careers in business, government, and the arts. However, in the event values continue to erode, latent sociopaths/psychopaths have the potential to become active sociopaths/psychopaths and act out as they see fit. It is a disturbing prospect to consider that the mentally disturbed 1 percent could evolve into 10 percent. If the prospect of a growing number of psychopaths is not disturbing enough, then consider that the problem is compounded by the use of pharmaceutical drugs. Most readers will have seen more than one commercial for a drug with side effects including suicide and violent behavior. If you doubt the truth of this, then pay attention to the next Chantix commercial you see. Chantix is administered to smokers to help curb cigarette cravings, but it is 18 times more likely to be linked to violent behavior than other drugs. Even more interesting is the unadvertised psychotropic drugs administered to children. Today more than 10 million children are prescribed addictive psychotropic drugs with the warning the drugs can cause suicide in children and adolescents. 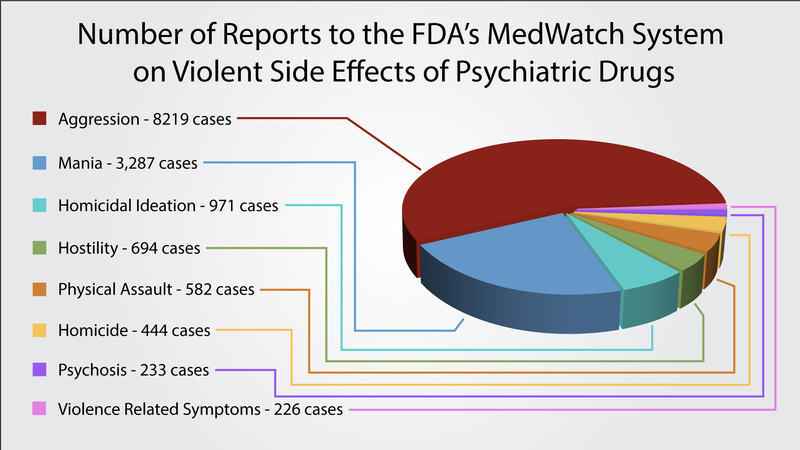 In fact, according to the FDA’s Adverse Event Reporting System, the following drugs are linked to violence: Pristiq, Effexor, Luvox, Halcion, Strattera, Lariam, Paxil, Prozac and Chantix. Most of the drugs are antidepressants and are often prescribed for the treatment of ADHD in children. It is probably just me, but it seems we are taking the wrong path when we give children with mental problems a drug that will increase the likelihood of suicide and violence. I am not aware of any studies that link pharmaceutical drugs to mass murder, but it is interesting to note that Stephen Paddock, Devin Patrick Kelley, and Dylann Roof all had mind altering prescription drugs prior to their killing spree. Perhaps we are no nearer to answering the question, which came first the drugs or the psychopath? But should we deny the connection? We can continue to blame guns for mass shootings because it is easy, and it fits a political agenda. However, if we want to know the cause of mass shootings we need to look elsewhere. After all, “The wise man doesn’t give the right answers, he poses the right questions,” according to Claude Levi-Strauss. For those interested in folklore and mythology, there are volumes of material surrounding the occurrence of solar eclipses. When viewed through the spectacles of modern science, the mythology and folklore appear quaint or even laughable. For example, who would believe that a giant wolf took a bite out of the sun? In Norse culture, an evil enchanter, Loki, was put into chains by the gods. Loki got revenge by creating wolf-like giants, one of which swallowed the Sun and caused a solar eclipse. In India and Armenia, a dragon swallowed the sun, while Chippewa people shot flaming arrows into the air trying to reignite the sun. In Siberia, China, and Mongolia, it was believed that beheaded mythical characters chased and swallowed the sun. In Columbia, natives shouted to the heavens and promised to mend their ways, apparently believing their bad behavior caused the solar eclipse. In Transylvania, an angry sun turned away and covered herself with darkness because of the bad behavior of men. However, other cultures took a different view of solar eclipses and found them to be romantic. In a Tahitian myth, the moon and sun are lovers who joined up and caused an eclipse. The West Africans believed when the sun and moon got together, they turned off the light for privacy. In German mythology, the sun and moon were married. Seeking companionship, the moon was drawn to his bride, and they came together creating a solar eclipse. To the Australian Aborigines, the sun was seen as a woman who carries a torch. The moon, was regarded as a man. 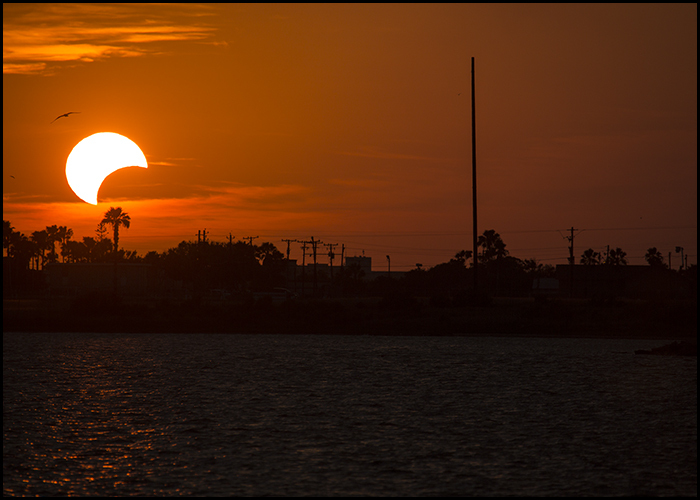 A solar eclipse was interpreted as the moon uniting with the sun. Certainly, the romantic view comes closer to the truth in describing a solar eclipse. It definitely is the relationship between the sun and the moon, and ancient astronomers and astrologers have been studying and predicting the event for eons. 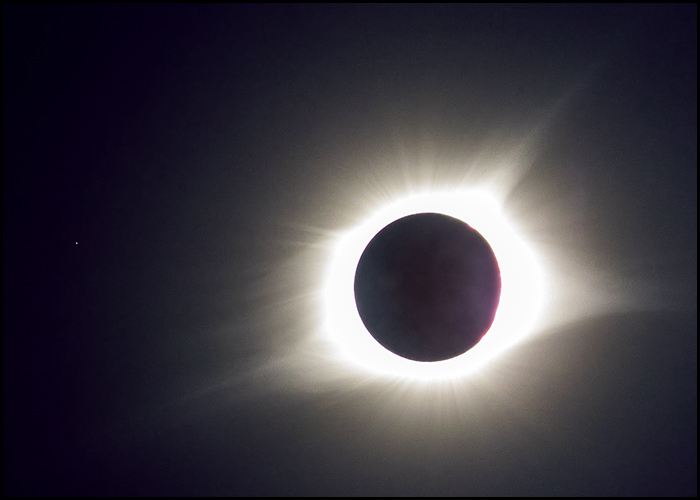 Ancient observations of solar eclipses can be traced back to at least 2500 BC in China and Babylon. 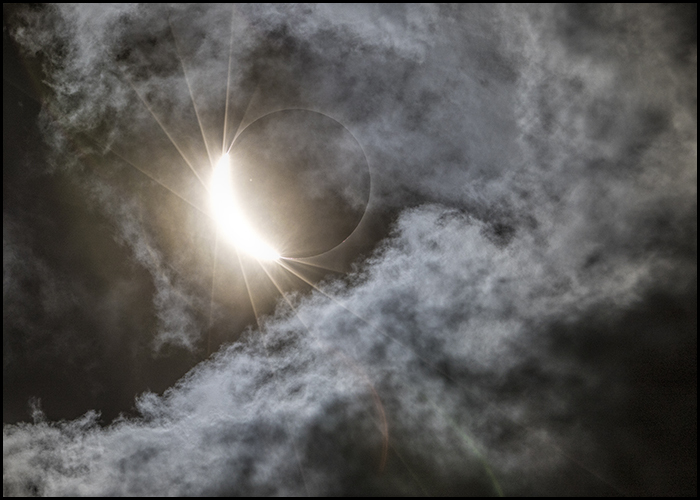 By 2300 BC, ancient Chinese astrologers believed a total solar eclipse was a major element of forecasting the future health and successes of the emperor. Similar records can be found for the early Greeks. Unfortunately, ancient Egyptian records have been destroyed as well as ancient Mayan records, but other evidence such as the Mayan calendar suggests they had an informed knowledge of solar eclipses. Given the frequency of solar eclipses, which occur 75 out of 100 years, it understandable that they have been the subject of interest and study for ages, and the interest continues to this day. Our most recent solar eclipse occurred on August 21, 2017, and could be seen across the entire United States. It was widely reported in the news, and eclipse viewing glasses were being sold at Lowe’s, Walmart, and other retailers including Amazon. On Wednesday before the big event, I began looking for eclipse viewing glasses. I went to Lowe’s, but they were sold out. However, I found solar viewing glasses in Walmart’s optical department. I bought several pair and returned home. I tested my glasses by looking into the sun; they worked well. Pleased at my purchase, I sat outside on the patio to contemplate the event. 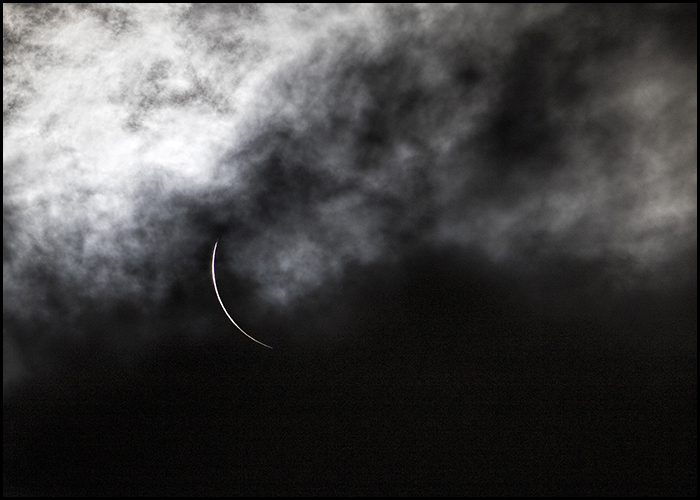 I had seen a partial eclipse five years earlier, and I had taken several photos that were good enough but not great. As I anticipated photographing the current eclipse, the lyrics to “You’re So Vain” kept running through my head, particularly the line, “Then you flew your Lear jet up to Nova Scotia to see the total eclipse of the sun.” Carly Simon’s line would not go away, and I began to think about the possibility of seeing the total eclipse, not the partial eclipse I had seen before. I went to bed thinking I would not have to fly to Nova Scotia to see the total eclipse. I could drive to Kansas or Kentucky and witness it firsthand. “It is not that far,” I thought. “I can drive it easily.” After a restless night, the thought of a total solar eclipse grew larger in my mind and plagued my thoughts at every turn. I did not like the idea of photographing a partial eclipse, but I decided to buy a solar filter for my camera lens, so that I could. To my surprise, no online vendor had the filter I needed. Frustrated, I settled for a neutral density filter that I knew was not dark enough, but it might get me by in a pinch. Also, I thought if I could only see the total eclipse, I would not need a filter. The darkened sun does not require a filter to photograph it, and the darkened sun can be safely viewed with the naked eye. As Carly Simon sang softly in my ear, I imagined what it would be like. Twilight, then darkness, then twilight again, and it would happen in a matter of minutes. It would be fascinating – a thing to remember for a lifetime, and it was all going to happen within driving distance. It is a fine thing to allow your imagination to run wild, but at some point you have to face practical matters, and from a practical viewpoint driving 1,000 miles, more or less, to watch the sun for two minutes and thirty seconds seemed a bit impractical even to me. Also, there would be a long 1,000 mile, more or less, drive home. For the rest of the day, I toyed with the idea off and on – imagining the exhilaration and dreading the drive. Honestly, I thought my idea was a bit over the top, and I had not mentioned it to anyone. In a way, I feared the response I was sure to get, but it really is a fine thing to allow your imagination to run wild. I was sitting on the patio with my wife as the sun set, and without hesitation, I suggested we should go see the total eclipse ourselves. After all, it is a chance of a lifetime I argued, and it is not that far. We could drive it easily in a day I said to her. And I went on with whatever I thought might be a selling point. When I finally quit talking, she asked, “How far is it? How long will it take? Where will we stay?” I did not have all the answers, but she had not said no, so I continued with the chance-of-a-lifetime argument. “Kind of like seeing Haley’s comet,” I said, which we had seen several years before and found it to be a disappointment. “Can you imagine it turning dark in the middle of the day? Will roosters really crow? Will it be noticeably cooler?” I questioned? Finally she said we could go, but we needed a plan. After studying the map I suggested Kentucky because it had the longest viewing time and was about the same distance as Kansas. She immediately began to look for rooms for Sunday night, but none was available near Hopkinsville, our intended destination. Finally, she found a room in Dyersburg, Kentucky; we booked it. I was elated, but the planning had just begun. I intended to leave Sunday morning and drive straight to Kentucky, but that plan needed approval which was not forthcoming. Instead, I compromised and left Saturday afternoon. This was not my idea of a good plan, but we were going, and that is all that mattered. We spent the night in Texarkana and arrived in Dyersburg early Sunday. Dyersburg is a small agricultural community where cotton is still king, and it is about a two hour drive to Hopkinsville. By the time we reached Dyersburg, we had decided that Hopkinsville was not our destination. The enterprising residents of Hopkinsville were renting 64 square feet of their lawns to eclipse viewers, and people from all over the world were descending on Hopkinsville. There were estimates of 75,000 visitors and upwards in a town of around 31,000 inhabitants. It was not that appealing, so we decided to view the eclipse from the Walmart parking lot in Benton, Kentucky. It was a pretty good plan. When we got on the road to Benton Monday morning, there was very little traffic, so we decided to go even closer to Hopkinsville. We would go to Eddyville and view the eclipse from the Walmart parking lot in Eddyville. While in route, my wife noticed a state park on the map just outside of Eddyville, so we decided to investigate the park. 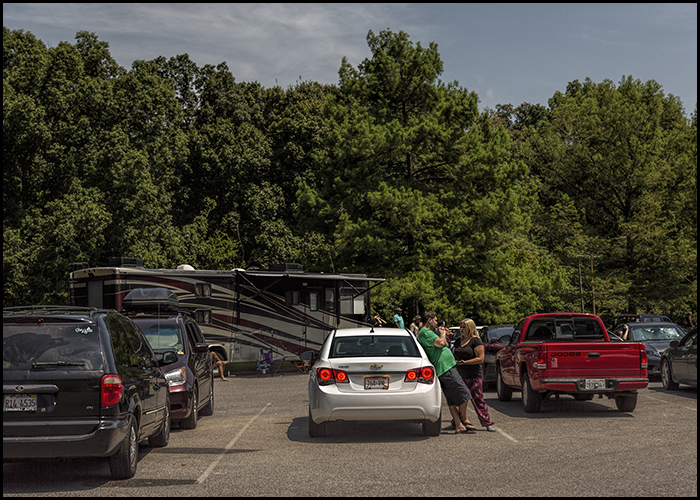 When we arrived at the park, we found a large parking lot at the visitor center, but it was filling up fast. We found a vacant spot and parked. This was our destination! It was about 10:00 a.m., and we had arrived. I unpacked the lawn chairs and the ice chest and set up the umbrella. It was about 98 degrees with clear skies. It was a perfect day for an eclipse, and eager eclipse viewers in the park were trying out their glasses and staring at the sun. Some were holding glasses in front of their cell phones and taking pictures. A quick glance around the parking lot revealed the license plates, and they were from all over the country. The atmosphere was festive and friendly with people sharing stories of their travels. One person I met from Annapolis, Maryland, had first gone to St. Louis to view the eclipse but decided there were too many clouds in St. Louis and had just driven to Kentucky this morning. Others had planned their travel months in advance and purposely selected the state park we were in. I did not bother to tell them that we had stopped on our way to Walmart. We were in Land Between the Lakes Park on the Kentucky side. The park is shared by Kentucky and Tennessee and can be entered from either state. The eclipse had started, but the total eclipse would not occur until 1:30 pm. Periodically I put on my glasses to monitor the progress. I am happy to report that a giant wolf was indeed biting off huge chunks of the sun. It was disappearing in steady increments, and I took a few photos of the progress. 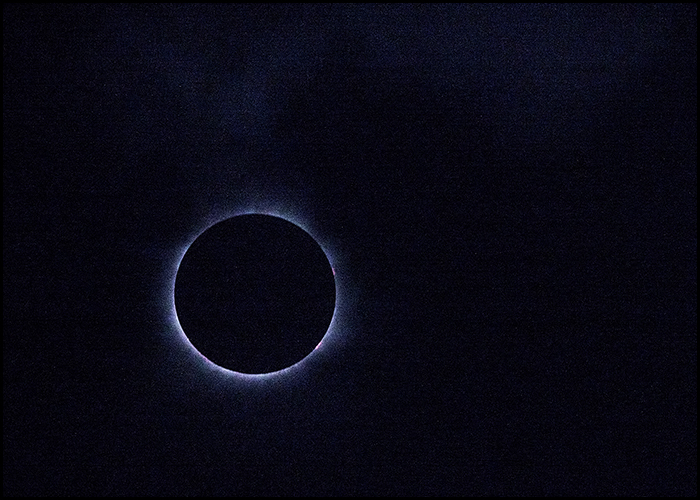 It was blinding looking through a telephoto camera lens at the sun – even with my darkest neutral density filter. I would only glimpse at the sun and release the shutter blindly. The twilight had begun, and it produced an eerie, greenish light. I tried to photograph the twilight, but the photos are a poor representation of reality, as is often the case with photography. The camera lacks the nuanced sophistication of the human eye. The park was now almost silent as onlookers anticipated the coming event. As a small cloud approached the sun and threatened to block our view, the silence was broken by sighs of disappointment. The silence returned as the cloud passed from view. Only moments before the total eclipse, yet another cloud passed in front of the sun and the sighs were louder, but it too quickly passed away, and applause replaced the sighs. It was now dark, and stars twinkled in the sky. The total eclipse had arrived, and the corona was readily visible at the edge of the darkened sun. Cameras were snapping away rapidly, and dogs began to bark and howl. The cameras were being triggered by humans, but only Heaven knows what triggered the dogs. In two minutes and thirty seconds the sun was returning, and twilight was reversing. The temperature now hovered at 83 degrees, and it was over. In my life’s history, I have no other frame of reference for comparison. It is perhaps as Wendy Mass has said, “Comparing what you see during an eclipse to the darkness at night is like comparing an ocean to a teardrop.” To me, it was simply euphoric. In a recent episode of 60 Minutes, I sat in awe of a young, Japanese baseball player named Shohei Otani. He is quickly becoming “the man” in the baseball world with his ability to pitch and hit better than – well – just about anybody. At the young age of 22, he is one of those people who shows us where a strong work ethic can lead. “I’m not perfect!” is often the expression of the disappointed child – or adult – who fails at something in life. To say these words is not the sin; to live them is. If this utterance pushes a person to overcome the failure, then all is not lost. If it is offered as an excuse, then the game is over. The results of failing to pursue perfection are devastating to the individual and ultimately to the whole of mankind. Jesus boldly said to a group of imperfect, downtrodden people, “Be perfect, therefore, as your heavenly Father is perfect.” In days gone by, even people who rarely attended church had a few tidbits of biblical wisdom to toss out when faced with the challenge of instilling a strong work ethic into a child. Jesus speaks these words at the end of the Sermon on the Mount, what E. Stanley Jones, a 20th-century Methodist Christian missionary and theologian, wrote is not a sermon at all. “It is a portrait of Jesus himself, and of the Father and of the man-to-be,” he explains in the opening paragraph of The Christ of the Mount: A Working Philosophy of Life. He tells the reader that Jesus is defining perfection as God defines perfection and that seeking perfection should be at the heart of all we do. Are not forgotten because their good works are forever intertwined in the history of the workplace and in the hearts of those they have served along the way. We should always be thankful for those who set the “gold standard” and become examples of excellence. God has blessed our world with them, and they have honored God by answering His call and using the gifts and talents with which they have been blessed, something we should all do. When human beings strive for perfection, we experience a little heaven right here on earth.